The Rangers Charity Foundation has held several ‘Big Blue Bungee’ days at the Titan Crane in Clydebank and at Highland Fling bungee in Killiecrankie in Perthshire which have proved hugely popular with fans. However, it is possible to jump as an individual or in a small group at any time throughout the year, so if you fancy testing your nerve with an adrenalin challenge a bungee jump could be just the thing for you! The jump at Killiecrankie is from a bridge 130 feet above the River Garry - the UK’s first ever static bungee jump – and is available all year round. You can view a video of the ‘Highland Fling’ bungee on the Nae Limits website by clicking here or view a photo gallery of some of our brave participants from previous years here. 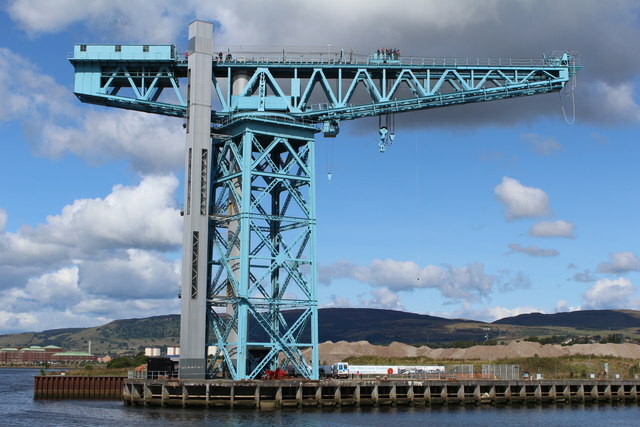 The Titan Crane Bungee jump is a once-in-a-lifetime free-fall experience of approximately 45 metres towards water from the cantilever of an A-Listed crane. The airborne flight lasts a few seconds as jumpers travel at over 50 miles per hour before the special Bungee cord springs them back up! The Titan Crane jump in available selected weekends between May and September each year and you can see pictures of our participants in 2014 by clicking here. The cost to take part at each location is £75 per person and you can choose to pay the participation fee yourself or raise it through sponsorship (if you are raising your participation fee via sponsorship, supporters must raise a minimum of £150 to take part - 50% participation fee, 50% donation to the Foundation). Every supporter who raises more than £100 for the Foundation will also become a True Blue Hero and will be invited to a special reception to receive a True Blue Hero medal from a Rangers first team player. Please note you have to be over 14 years of age to bungee jump and parental consent is required for anyone under the age of 18 years. There are weight restrictions on both jumps, which differ between the locations. Further information can be found on the Bungee Jump Scotland website here.